One of Spain's biggest banks says it's moving its headquarters out of Catalonia following a threat by the region's political leaders to declare independence. And another major lender may soon follow suit. Banco Sabadell said late Thursday that its board decided to shift the company's legal home from Barcelona -- Catalonia's regional capital -- to Alicante in southeastern Spain "in order to protect the interests of our customers, shareholders and employees." Another Catalan financial institution, Caixabank (CAIXY), was reported to also be considering relocating its head office. Catalonia's government was planning to make a unilateral declaration of independence from Spain as early as Monday, following a disputed and chaotic referendum Sunday in which two million Catalans voted to break away. That could plunge Spain's most productive economic region, and the country as a whole, into a political crisis and create enormous legal uncertainty for banks and businesses. Shares in Spanish banking stocks plunged on Wednesday as investors woke up to the risks. The shares bounced back on Thursday as reports of the contingency plans emerged. 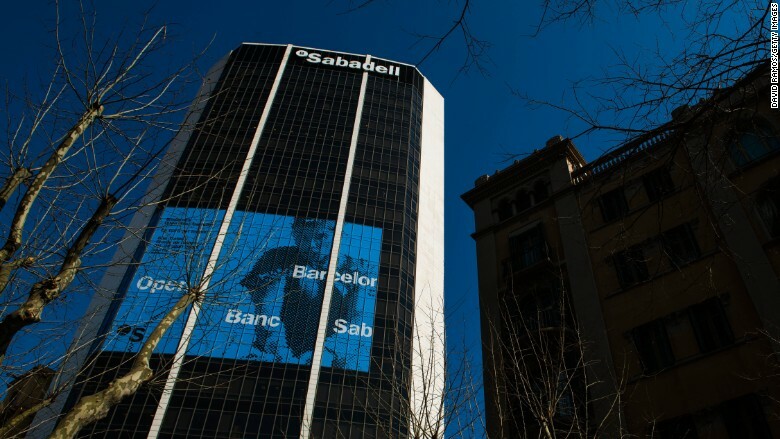 Banco Sabadell said in a statement that the move of its legal home to Alicante wouldn't involve the transfer of any employees. The 135-year-old company "has corporate and operational centers in different cities in Spain and [the] United Kingdom," it added. Caixabank didn't directly address reports that it was considering shifting its headquarters out of Barcelona, but told CNN that "the necessary decisions will be taken, in due course." The bank said it was focused on "the objective of protecting the interests of our customers, shareholders and employees at all times." If Catalonia declares independence, the Spanish government in Madrid may react by imposing direct rule on the region -- a crackdown that could escalate tensions and create further turmoil, scaring away investors, worrying savers, and disrupting business. 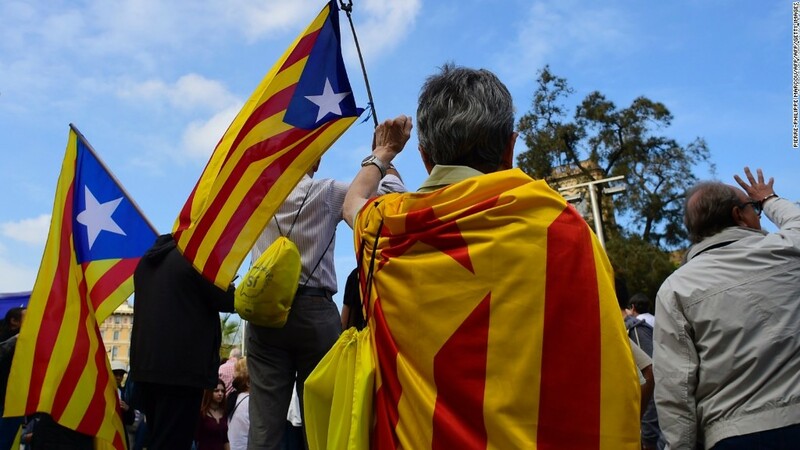 And if Catalonia does succeed in breaking away, it's likely to find itself shut out of the European Union and its system of banking regulation. The EU offers safety nets and rules to rescue unstable banks and protect their customers. And banks based in one EU country are able to do business across the entire region of 500 million people. Banco Sabadell has its headquarters in Barcelona, Spain, which is the capital of the Catalonia region. Banks are free to move their legal headquarters within a country, but would need various approvals if they wanted to move across national borders. Another Catalan business has already taken the plunge. Biotech firm Oryzon Genomics said on Monday that it was moving to Madrid from Barcelona to "optimize its operational effectiveness and the relationship with its investors." Its shares have surged by as much as 29% since.